A member of Congress works in an environment with numerous ethical rules, and with constraints on official, political, and personal activities. These limits exist in laws, regulations, chamber rules, interpretations, and practices. The expectations of members’ constituents also contribute to ever tightening acceptable norms of behavior. There are many aspects and considerations involved in the application of ethics laws and rules in a particular situation. 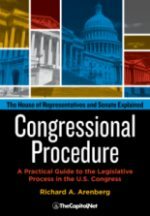 There are laws that apply to both representatives and senators, yet different chamber rules, interpretations, and practices apply in the House and Senate. Differing rules may apply to members’ spouses, children, and staff. Therefore, it is prudent to get a professional opinion on a specific activity before it is undertaken. 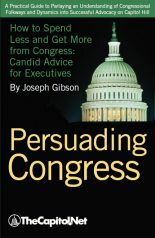 A government affairs professional might have every good intention in offering a service or courtesy to a member of Congress. However, she may inadvertently be running afoul of a well-established ethics norm. Members are not exempt from civil or criminal liability. They are subject to prosecution for violations of federal, state, and local criminal law. Also see Immunity. Congressional corruption cases and ethics violations do not often go to trial in federal court or to formal hearing in the congressional ethics committees. Among the reasons for this infrequent occurrence are that bribery (the issue if not the allegation underlying many public corruption cases) is difficult to demonstrate, evidentiary support for a trial is weak, plea bargaining might conclude an investigation, the member resigns or does not seek reelection, or the member is defeated in a primary or general election. Conviction of a crime could result in an additional penalty for a member of Congress, in addition to jail time, fines, and other forms of punishment. If a member of Congress is convicted of certain crimes, he is deprived of creditable service under federal retirement systems, the consequence being that the member loses his federal pension benefits. The member could, however, receive back his own retirement plan contributions. The crimes include but are not limited to bribery, illegal gratuities, honest services fraud, obstruction of justice, and perjury. Members of Congress, like most federal officials, lose their pension benefits if convicted of the crimes of treason, espionage, and related national security criminal laws. Ethics training has increased in recent years, and is now required for new staff. In the House and the Senate, any new staff member must receive ethics training within sixty days of an individual’s hiring. Ethics training has also been given to new representatives and senators and to staff who were already employed when House and Senate rules were changed in 2007. 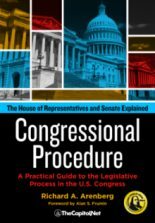 House and Senate gift rules: House Rule XXV and Senate Rule XXXV. Also see Congressional Pay and Perquisites. There are a number of places where one can begin research on congressional ethics. House Committee on Ethics (until the 112th Congress, the Committee on Standards of Official Conduct), which has a web site of current and historical information, some of which is highlighted in this list. House Ethics Manual (456-page PDF ), last published in 2008; individual chapters are accessible from the left navigation bar on the committee web site. House Code of Official Conduct / House Rule XXIII. House Rule X, clause 1(q) (Ethics Committee’s jurisdiction); Rule X, clause 11(g)(4) (committee’s duty to investigate an unauthorized release of intelligence information in the possession of the Permanent Select Committee on Intelligence); Rule XI, clause 3 (functions of the committee); and Rule XXV, clause 5(h) and (i) (committee’s duties pertinent to the House “gift rule“)–available on the web site of the House Committee on Rules. Office of Congressional Ethics, established in 2009 to receive from the public allegations of House members’, officers’, or staff’s ethics violations, and, where a review finds merit to an allegation, to refer the matter to the Ethics Committee for disposition. 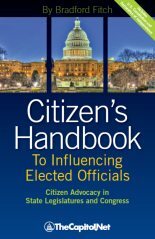 Members’ Congressional Handbook, available on the web site of the Committee on House Administration. Committee Handbook, available on the web site of the Committee on House Administration. Franking Information & Communication Forms and related franking information, available on the web site of the Committee on House Administration. The House Ethics Committee attempts to to respond to ethics questions from organizations and individuals outside of the House after serving House members and staff. The committee only accepts a complaint from the public if it is “certified in writing” by a member of the House. The committee may be contacted by telephone, 202-225-7103, or in writing, Committee on Ethics, 1015 Longworth HOB, U.S. House of Representatives, Washington, DC 20515. The Office of Congressional Ethics (OCE) was created in March 2009 to receive complaints from the public about the ethical conduct of members of the House, House officers, and House staff members. It is not a House committee, but an independent, nonpartisan office governed by a board of directors comprising private citizens. Upon the written request of two board members (one of whom is appointed by the Speaker and one by the minority leader), OCE reviews allegations of misconduct by a member, officer, or staff member of the House. If two members make a request for an investigation and the investigation continues through two required phases of review, then four members of the board may refer the matter to the House Ethics Committee with a recommendation for further review or dismissal. If four members fail to support referral for either further review or dismissal, the matter is referred as unresolved to the Ethics Committee. OCE may be contacted though its web site, by phone: 202-225-9739, or by mail: PO Box 895, Washington, DC 20515. OCE is located at 425 Third Street SW, Washington, DC. Senate Select Committee on Ethics, which has a web site of current and historical information. Senate Ethics Manual (S.Pub. 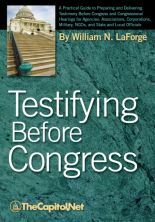 108-1) (542-page PDF ), last published in 2003, available on the web site of the Senate Ethics Committee. Committee interpretative rulings and other guidance are either listed on the committee’s home page or appear in appendices to the Senate Ethics Manual. 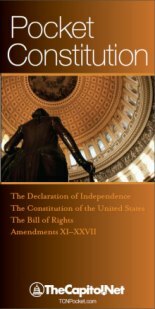 Senate Code of Official Conduct (63-page PDF ), Senate Rules XXXIV–XLIV. Senate standing orders creating and assigning duties to the Ethics Committee (Senate Manual, §§ 77–80), available from Govinfo.gov. Regulations Governing the Use of the Mailing Frank (45-page PDF ), available on the Senate Ethics Committee’s web site. The Senate Ethics Committee attempts to respond to ethics questions from organizations and individuals outside of the Senate after serving senators and staff. The committee may accept a complaint from an individual who is not a senator, Senate officer, or Senate staff member. The telephone number is 202-224-2981. The committee is located at SH-220 Hart Building, Washington, DC 20510. Also see CODEL / Congressional Delegation / Junket; Congressional Pay and Perquisites; Exclusion / Disorderly Behaviour / Censure / Reprimand / Expulsion; Frank / Franking Privilege; Immunity; § 3.50 Congressional Ethics, § 3.60 Regulated Activities, in Congressional Deskbook.